Even before Hurricane Ike blasted into the Houston and Galveston, TX areas, gas prices all over the country started spiraling upward. The logic behind this, according to reports, is the refineries would be shutdown, along with the offshore platforms in the Gulf of Mexico. The U.S. gets approximately 25% of its domestic crude from this area. As a result, people started to panic about having gas to get to work, go visit Aunt Hazel, etc. Long lines were reported in the central part of Alabama. Of course, whenever this happens, the inevitable fights break out as people try to break in line. Hard times do bring out the best in some people. But, it also brings out the worst in some people. Alabama Governor Bob Riley enacted an “energy emergency” throughout the state. People immediately went nuts about this without even trying to find out what it really meant. What it meant is that with this action, the price gouging law was now in effect. There were gas station owners who were charging between $5-6 a gallon. They immediately dropped back below $4.00 when the price gouging law went into effect. People were calling a toll free hotline to report gas stations charging more than a dollar a gallon from Thursday’s prices. 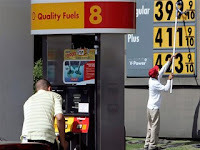 In Florida, there were reports of $8/gallon gas! All this overreaction even with a barrel of oil now below $100 for the first time in at least a year. 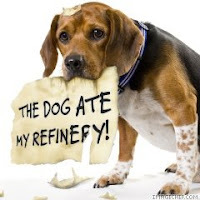 Fortunately, the refineries in the Houston-Galveston area were not severely damaged. Operations are expected to start back as soon as power can be restored to those refineries. If you think your local gas stations are price gouging, there is something you can do. You can contact the Department of Energy and file a complaint online HERE. Or you can contact your state attorney general’s office HERE. To me, you would get a faster response by contacting your state attorney general’s office. Trust me; they would LOVE to find out if someone is trying to profit on the misery caused by a disaster. Of course, gas prices are the last thing on the minds of hurricane stricken Houston and Galveston. Hopefully, they won’t have as difficult a time getting federal aid as we did after Katrina hit.